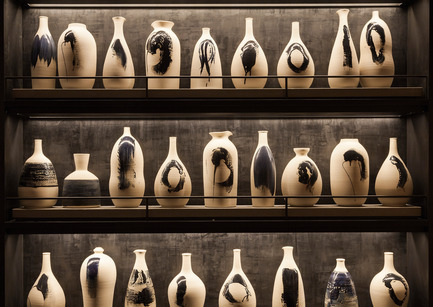 Ceramic artist Pascale Girardin presents a behind-the-scenes look at her installations for Nobu Downtown, New York’s most hotly anticipated restaurant opening of the year. 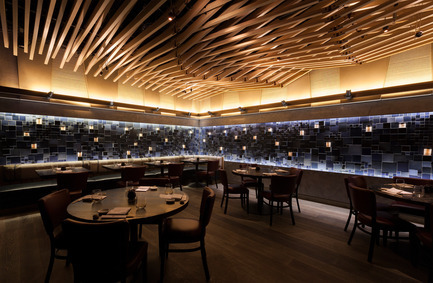 The unveiling of Nobu Downtown at 195 Broadway on April 6 was far more than a typical New York restaurant opening: It was an historic occasion. 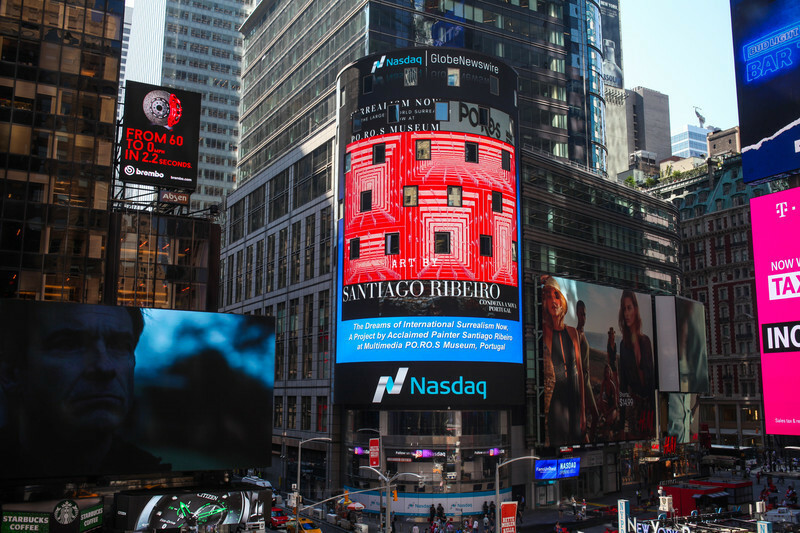 It marks the cumulation of a longstanding business partnership between Robert De Niro and Nobu Matsuhisa, the actor having discovered the chef in Los Angeles and convinced him to establish his first Japanese-Peruvian-fusion restaurant in Tribeca under the name Nobu in 1993. 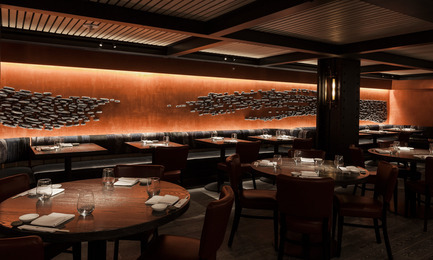 In terms of location, Nobu Downtown heralds a revival of fine dining in the city’s financial district, replacing the now-closed Tribeca locale as Nobu’s NYC flagship. 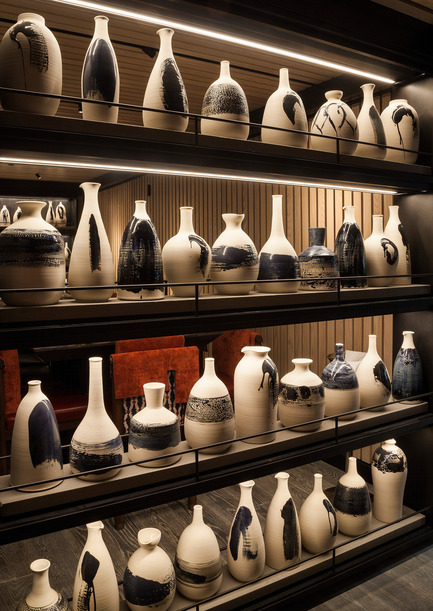 It also marks a repeat collaboration between Matsuhisa and David Rockwell, the prominent designer who worked on Tribeca and went on to conceptualize more than 30 of the star chef’s outposts around the world. 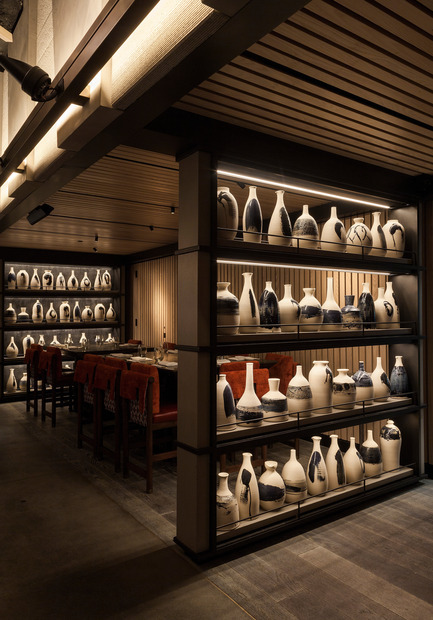 Now, the two-decade-old collaboration has come full circle in the luxuriously appointed, 12,500-square-foot Nobu Downtown, the city’s most anticipated restaurant of the year. 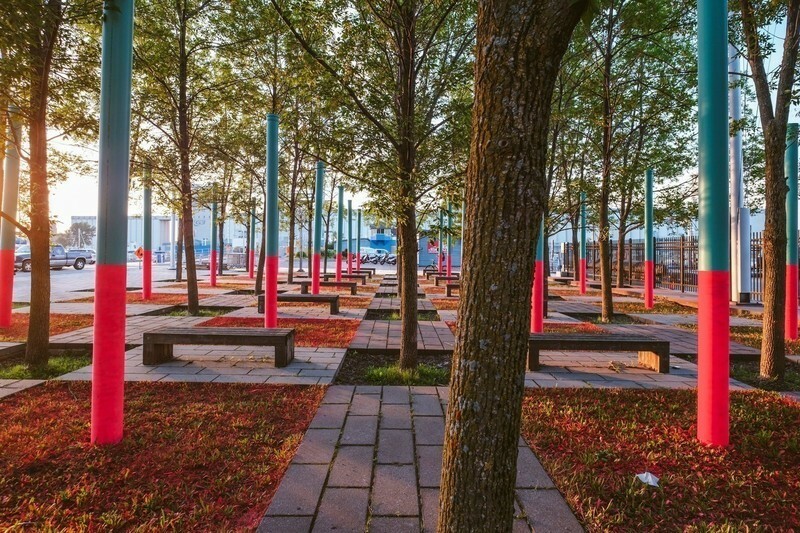 For project collaborator, Montreal-based ceramic artist Pascale Girardin, stepping into an assignment of this caliber and a team with so much history was significant: “For me to be involved and to have so much square footage to invest in was an honour,” she says. 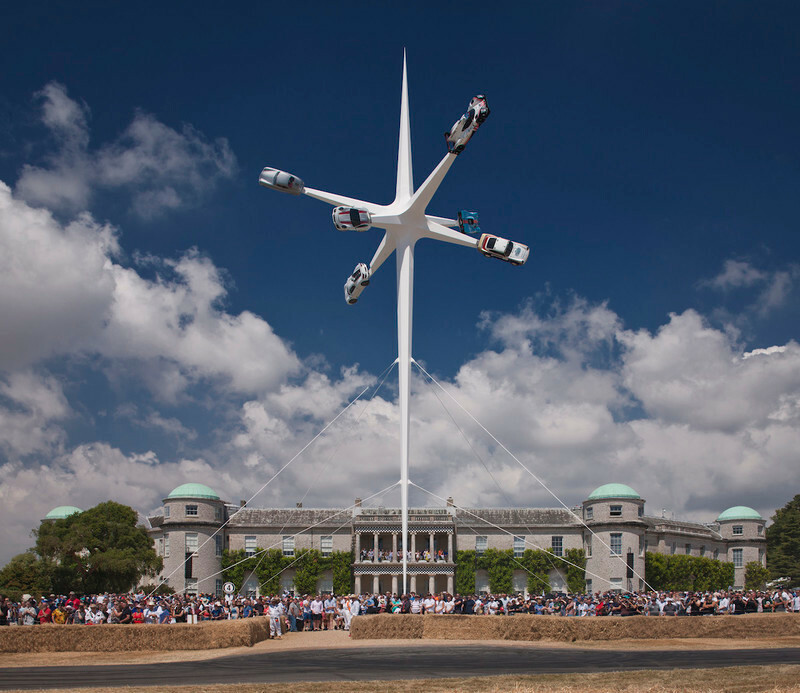 “I’m part of the second phase of this historical moment.” Girardin was personally invited by Rockwell to contribute a series of site-specific installations to the dining room. Known for her Asian-inspired works that translate masses of individual ceramic elements into a single large-scale installation, Girardin has transformed five-star hotel lobbies and luxury-brand vitrines worldwide. 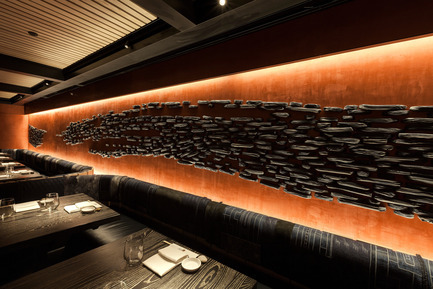 For Nobu Downtown, Girardin worked with the Rockwell Group’s brief of creating mural sculptures inspired by sumi-e, the Japanese art of ink-brush painting. 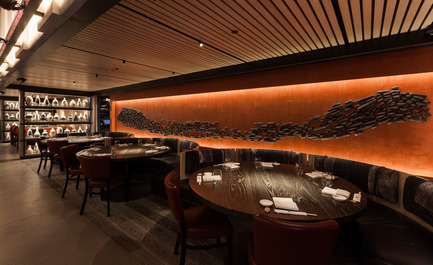 In fact, the first thing patrons see as they enter the restaurant’s first-floor bar is a suspended installation in ash wood by New York artist John Houshmand that brings a seemingly ephemeral calligraphic brush stroke to life in three dimensions. Of Girardin’s three commissions for the 187-seat downstairs dining room, the unquestionable focal point is her duo of high-relief murals in the main seating area. 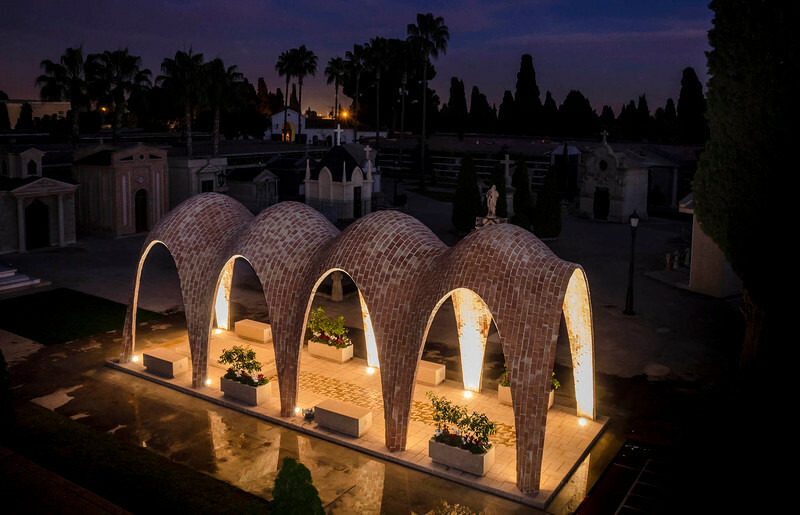 Each of the hand-formed ceramic elements – 3,500 in all – that make up the pieces resemble briquettes of charred wood. 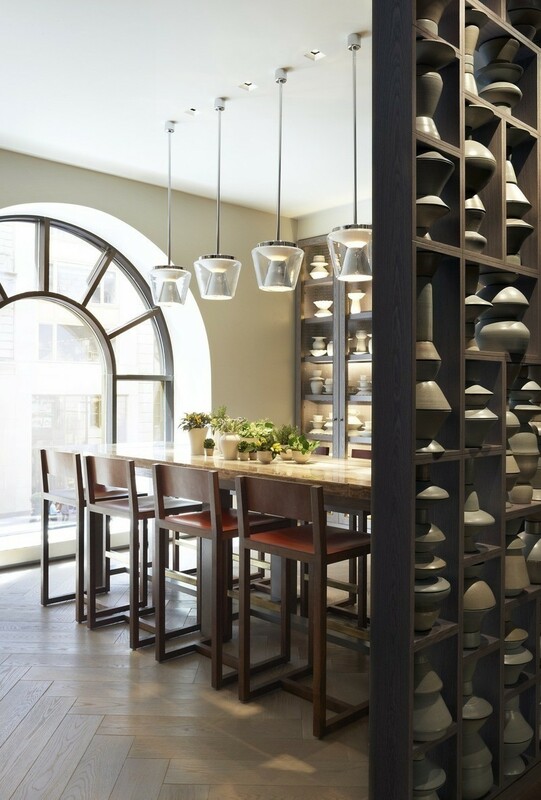 Crafted in Girardin’s Montreal studio, the elements were transported to New York and affixed one-by-one to two red Venetian Plaster walls. The result is breathtaking: the intricate tiles forming what looks like the positive and negative space from the stroke of a larger-than-life brush. 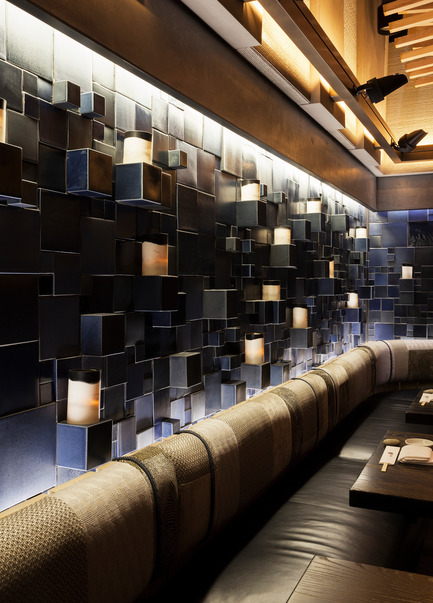 Girardin’s second installation in the private dining area, takes its cues from Japanese boro textiles. “This is a patchwork style made by combining indigo cottons from different sources,” says Girardin. 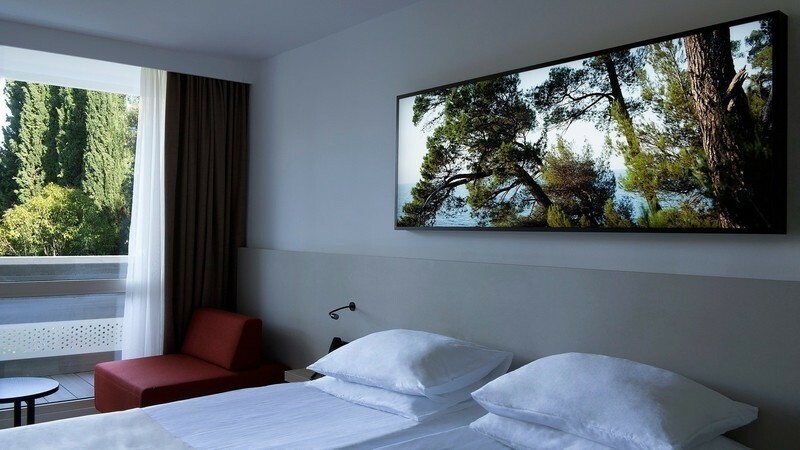 “The panels are not regular sizes so their randomness gives them a lively quality.” For this feature wall, Girardin’s studio produced hundreds of glazed blocks and squares in varying sizes and shades of cobalt blue. 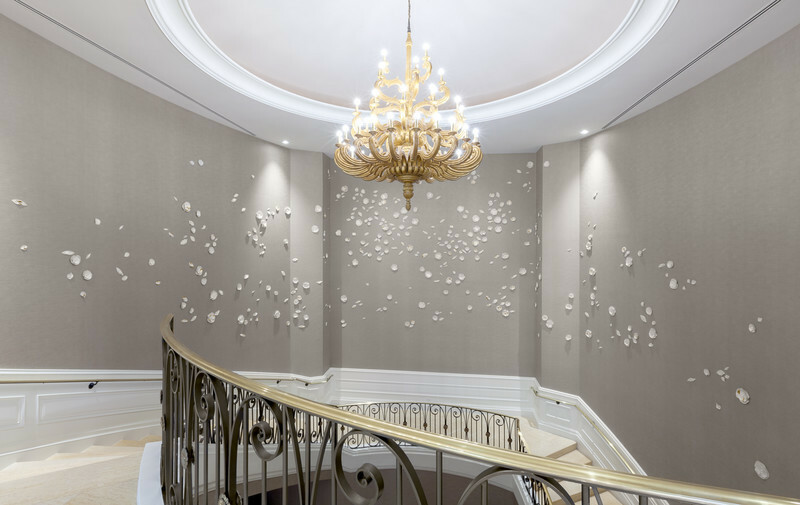 The two- and three-dimensional mural gives a highly-textured effect, while performing the practical task of concealing LED votive fixtures that illuminate the work. 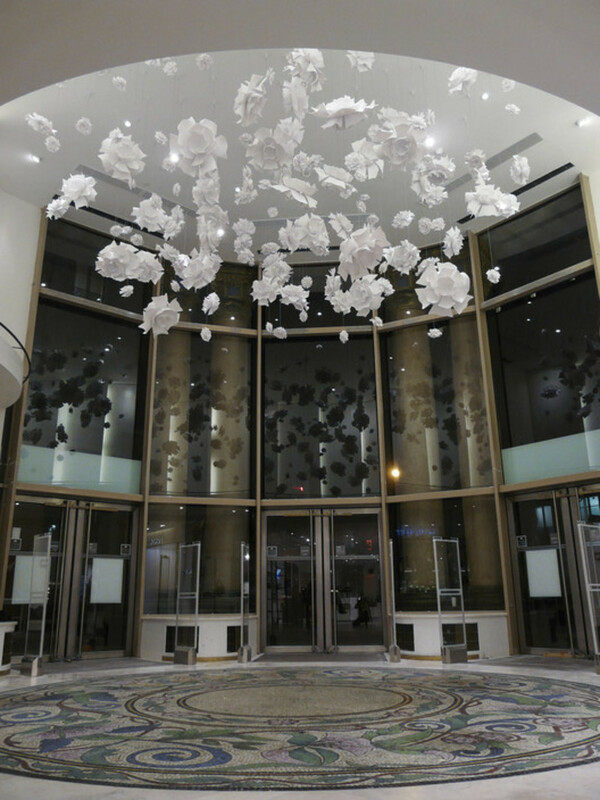 Pascale Girardin is a Canadian ceramic artist whose work ranges from functional tableware to large-scale architectural installations. 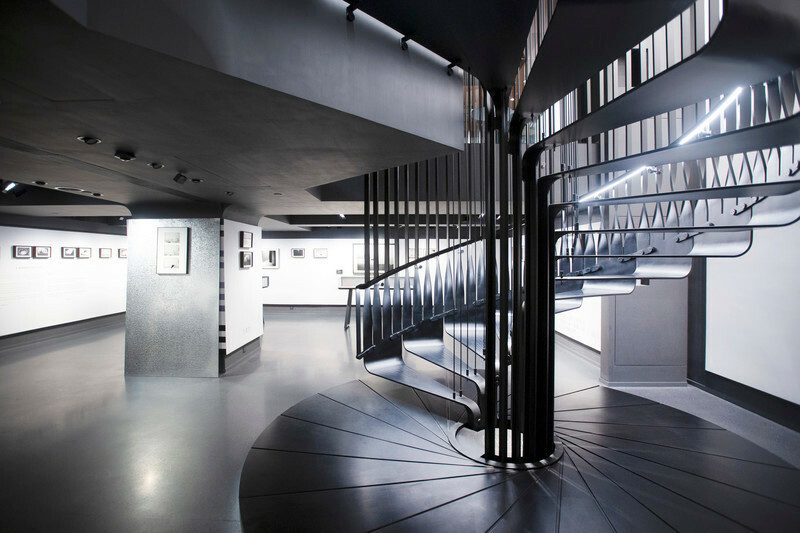 She has gained international recognition, collaborating with some of the world’s top design firms on projects that include the Shanghai’s Four Seasons Place, New York’s Peninsula Hotel, Paris’ Printemps department store and Dubai’s Al Badia Golf Club, among many others. 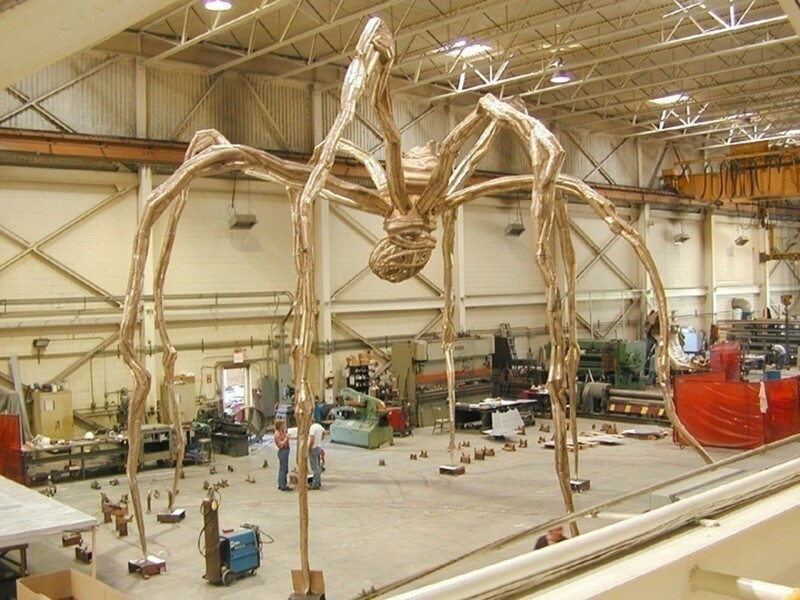 Her work, whether suspended in mid-air, grazing a wall or floating in water, takes on organic forms, subtly underscoring our relationship with the world we live in.